Hyundai has become the first brand to let you by a car online in just five minutes. Its new Click To Buy service will go live in January 2017 and lets buyers get a trade-in price, configure their new car, arrange finance and pay the deposit from their laptop, smartphone, tablet or home computer. For those buying with cash, Hyundai promises to complete the process in under five minutes, without the customer having to set foot in the dealership. Instead, it will arrange to have the vehicle delivered direct to your door, with the collection of the trade-in being made at the same time. The Click To Buy service will officially go live on 6 January and marks the first time a mainstream manufacturer has offered to sell its cars purely online with no human interaction. PCP and HP buyers will still need to visit the dealer, however, to take in their trade-in, sign any legal documents and pick up their new Hyundai. It also isn’t clear how the trade-in value is calculated or how it changes once the vehicle has been inspected by the participating dealer. 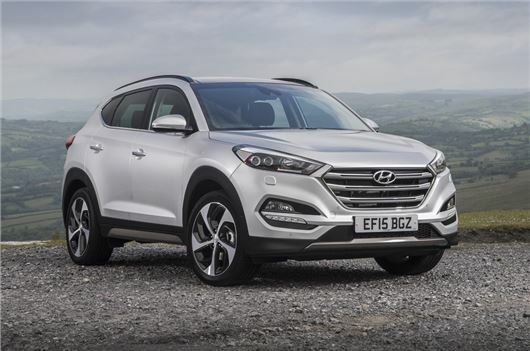 From its launch, Click To Buy will be limited to the i10, i20, i30, Tucson and Santa Fe. More models will be added later in 2017. 'The first brand to let you buy a car online' ... BMW introduced this in November 2015.